The word coworking in the future won’t just remain a word; it will probably become our way of working work. Twenty years ago, the goal of our parents was to get a job they liked and to keep moving up in the hierarchy until their retirement. Wherein, today people on average tend to stay at their jobs only for 4- 5 years. Slowly, the goal line of the younger generation is redefining from the traditional office to more towards getting self-dependent and maintaining a better work-life balance. This has resulted in the drastic change in the landscape of the office. Nowadays, traditional organizations are progressively moving towards adopting flexible working hours rather than the fixed 9-5 shift and some towards the work-from-home concepts. But, the younger generation of start-ups, entrepreneurs and freelancers are making their shift toward the coworking spaces which offers flexibility, better work environment, newer ideas, better networking opportunities etc. It was in the year 2005, the concept of co-working was first introduced and since then, the concept is seeing unique footing and remarkable growth. According to data published, more than 80% of coworking space owners all over the globe expects revenues and growth higher in the number of members. It is during this time only that the concept started and marked a remarkable growth in India and the rest of Asia! One of the most important factors stimulating the growth of co-working spaces is that is that it is much more economical. Especially, for the start-ups and micro-enterprises which are at their preliminary stage and are in the process of enhancing their revenue flows, find it an excellent way of saving money to be utilized for the growth of their business. The diversity offered by the co-working space is inspirational for start-ups, business owners etc. These spaces provide a diverse environment with different people like creative writers, designers, developers, freelancers and entrepreneurs all working together at one place. It also makes it easy for the start-ups, freelancers and entrepreneurs an opportunity to build a strong and varied network by connecting with experts who can direct and nurture them. The higher satisfaction levels provided by the coworking spaces are another reason for the growing popularity of this concept not only among the younger generation but also among elder ones. The level varies from feeling improved to being more productive. These shared spaces offer opportunities to its members to further attract more members and also provide a large variety of facilities at one place like a cafeteria, entertainment center, free parking, free wifi, feel-at-home’ experience etc. Some of these coworking spaces with better funding have even started providing services like co-worker’s theatres, health clubs, dry cleaning, ATM etc. to their members. Another triggering factor is the increase in the number of youngsters with the entrepreneurial dream. These youngsters have worked and grown-up in global enterprises. Their acquaintance with the business ecosystem and the expansion in the Internet economy is stimulating the growth of a large number of start-ups not only in MNC’s but also in smaller cities. The incorporated approach will help in increasing the monetary feasibility of co-working space providers. A pay-per-use model used by the coworking spaces help them to have increased revenue streams to depend upon besides desk rents. The members have to pay only for the facilities they use. Another area that will evolve is the vital bloodline of financing to fuel the growth of coworking spaces. Models like the Canadian models of crowd sourcing funding to purchase buildings will emerge. With more success stories in the coworking space, private funding is bound to come in. With more money flowing in, current irritants and complaints such as poor internet connections, noise levels and lack of privacy will be history. The future will truly be here! Another factor that will develop as an important bloodline of financing to stimulate the growth of co-working spaces is the model of crowd sourcing funding. With the growing success stories in the coworking space, private funding is foreseeable. With the increase in money flow, the negative reviews like noise levels, poor internet connections and lack of privacy will be eliminated very soon. 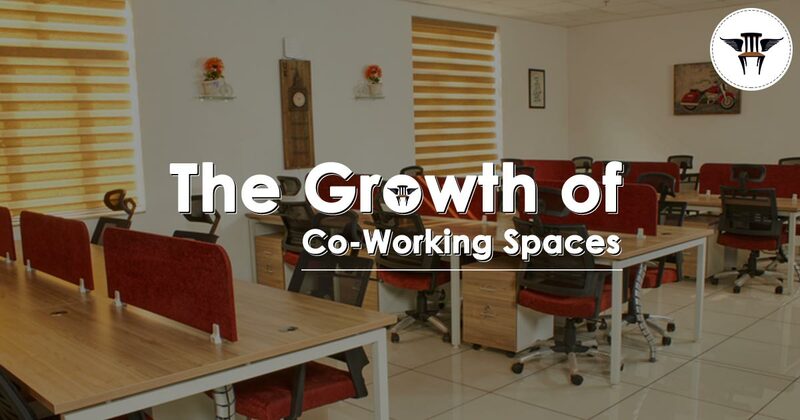 The concept of coworking space will surely flourish and will see a positive growth in the near future. From traditional office space with the desk to multitasking space, the concept of the coworking space has evolved continuously and is still evolving. So, now what do you think about future of coworking, how it would look like in the near future? Share your thoughts and opinions with us in the comments box below.